The Singapore hub has come leaps and bounds in the past year and I am excited about what we are currently working on as individuals and as a group. Before we get into that, first it seems appropriate to give a little background. The Singapore hub is one of 370 Global Shaper hubs around the world of exceptional young people from all industries, working to create change in their own way. There are 7000 Global Shapers around the world who come together through their hubs to collectively work on projects with the goal of improving the state of the world. Utilising unique skillsets and cross-sector experience, we partner with local and international organisations, business, government and other Global Shaper hubs around the world. 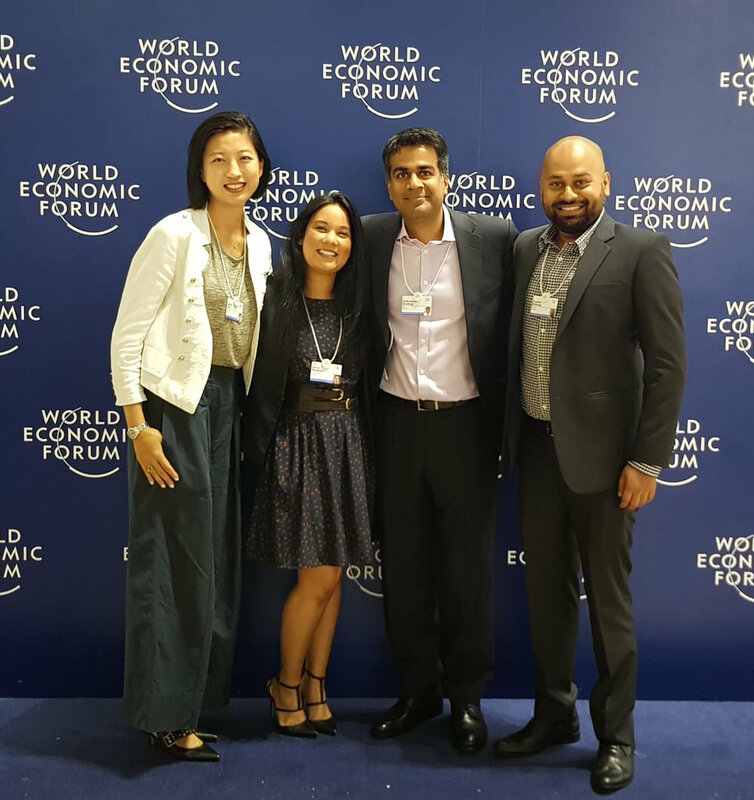 Global Shapers is an initiative of the World Economic Forum and was formed to give young people a voice and a seat at the table. Quite literally, this means that the World Economic Forum creates many opportunities for Shapers to engage with government leaders, business heads, and other global decision makers. After 2 and a half years as a shaper, I received my first opportunity to do this. I was recently invited to attend the World Economic Forum’s Annual Meeting of New Champions (AMNC), or ‘Summer Davos’ in Tianjin, China. This is the foremost global innovation and technology event, attended by innovation heads from big business, technology & digital representatives from government, fast-scaling startups and more. For someone like me in the startup space, it’s THE perfect place to be. The who’s who of innovation, science and tech are all there. 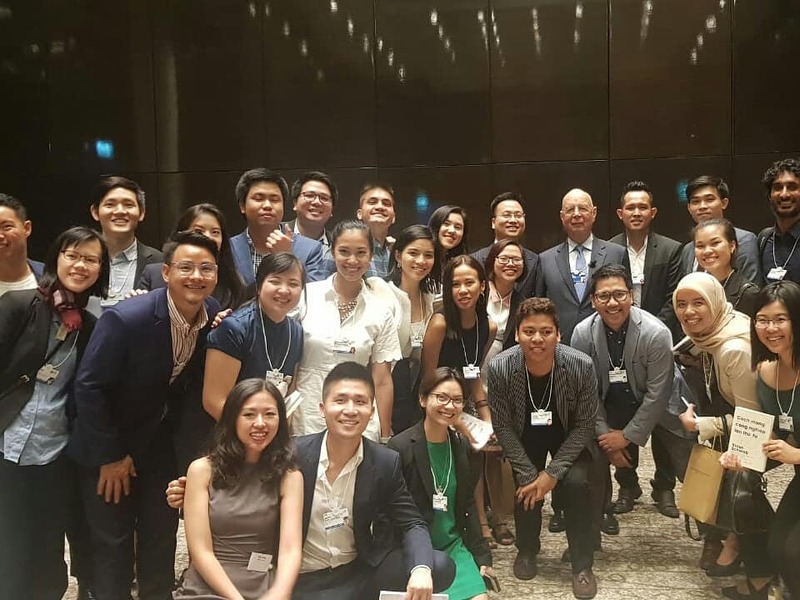 And, as a testament to the diverse membership of the Singapore hub, this year the we had a record number of attendees representing Singapore to these events – 5 Shapers attended the World Economic Forum on ASEAN, hosted in Vietnam and another 5 of us were invited to attend AMNC. For both of these global events, we were the biggest delegation of Shapers representing one hub. The biggest realisation that I had was that attending these events really gives you an idea of your role in the global context. I met so many people that when realising I came from Singapore said something along the lines of, ‘wow, you’re from Singapore! Our country/ city is modelling X based on what Singapore has done!’. As an immigrant to Singapore, over the past 5 years I’ve spent here, I truly feel like it’s become a home for me now. I am always raving to people about how much I love being here and what incredible opportunities there are in the region. And it’s true. As the world continues to look East, into one of the fastest growing regions of the world, Singapore is perfectly placed as an entry point into the rest of the region. And, Global Shapers here in Singapore, are well positioned to make the most of this opportunity to drive positive impact, support other hubs in the region and most importantly, use our position as an international node for the region to draw attention to some of the biggest issues surrounding us. At the moment the Singapore hub have ambitious plans to publicly launch projects that work on important regional issues that we believe require our attention. We are focused on creating economic opportunities for underserved communities and migrant workers. Addressing gender inequality remains an issue that we are all passionate about. We believe that cultural constraints mean that mental health continues to require our attention. Finally, urgent action is needed to mitigate the impacts climate change as the global challenge of our generation, and arguably one of the largest challenges in the history of humanity. In all cases, we are actively looking for partners and domain experts to really scale this work. We can’t do this alone and we don’t want to - the true strength of our community is collaboration. This is why diversity across industries, gender, race, culture, skills, abilities and anything else you can think of, is what we actively work to achieve. Our differences and willingness to overcome them are our power. So, if you’re reading this right now, we invite you to reach out and join us. A partnership with you, your business or organisation might just make all the difference. Keep up to date on the work that we’re already doing and hear more about our plans and opportunities to collaborate, subscribe to Insights!